Chéri Samba Born in 1956 in Kinto M'Vuila as the elder son of a family of ten children. His father was a blacksmith and his mother a farmer. 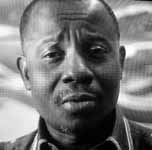 In 1972, at the age of 16 he left the village and the school to find work as a sign painter in the capital Kinshasa, on Kasa Vubu Avenue in Kinshasa; from this circle of artists (which included Moke, Bodo, and later Samba's younger brother Cheik Ledy among others) arose one of the most vibrant schools of popular painting in the twentieth century. In 1975 he opened his own studio. At the same time he also became an illustrator for the entertainment magazine Bilenge Info. It is at this time when he develops his signature style of combining paintings with text. His work earns him some local fame. 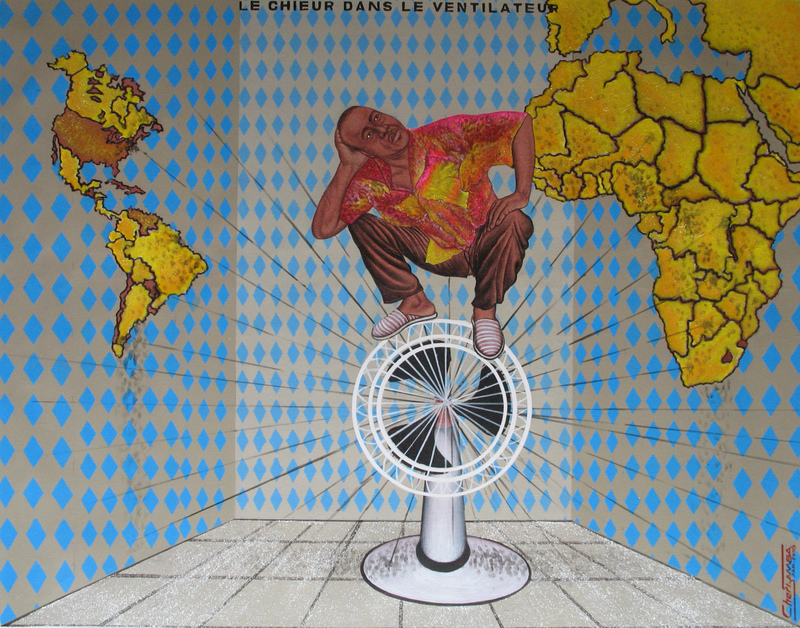 Samba's paintings of this period reveal his perception of the social, political, economic and cultural realities of Za�re, exposing all facets of everyday life in Kinshasa. This canvases offer a running commentary on popular customs, sexuality, AIDS and other illnesses, social inequalities, and corruption. From the late 1980s on, he himself became the main subject of his paintings. For Samba, this is not an act of narcissism; rather, like an anchor on TV news broadcasts, he places himself in his work to report on what it means to be a successful African artist on the world stage. He lives and works in Kinshasa, Democratic Republic of Congo. The artist is represented by the Pascal Polar gallery (Brussels, Belgium).